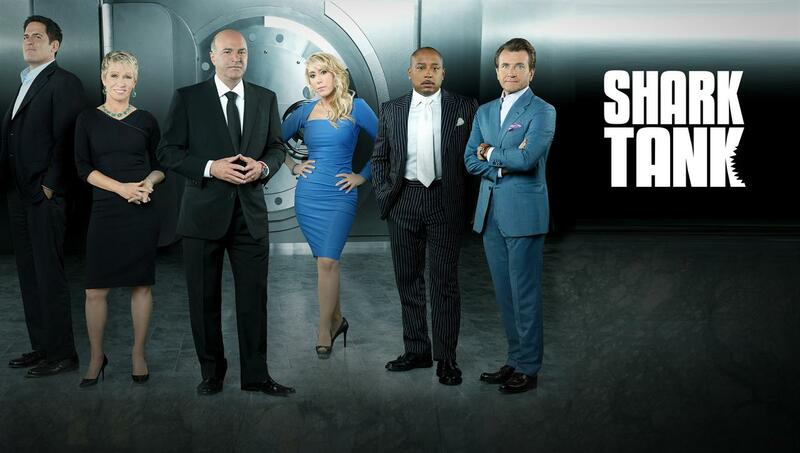 So, What are the “Shark Tank” Sharks? Posted on December 26, 2015 by Neil S. Siskind, Esq. You can read what clients and associates are saying about Neil Siskind at: http://siskindlawfirm.com/neil-siskind-bio/. 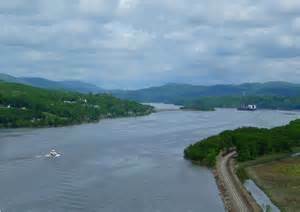 -Hudson Riverfront Land Conservation: The Neil S. Siskind Nature Preserve is over 7 acres of environmentally-pristine waterfront land in a magnificent setting along New York’s majestic Hudson River. -Founder and Developer of “National Fatherhood Day” (TM), observed annually on March 29th, to encourage recognition of the needs of boys and girls who are living without fathers or father-figures in their lives. Are the Sharks in the Shark Tank venture capitalists- or are they equity investors? There is a difference, and the answer is unclear. Early on in the show, prior to Mark Cuban’s arrival, Kevin O’Leary (a/k/a/ Mr. Wonderful) began to establish the practice of evaluating a company’s income and requiring investments to be sought and made based on industry-accepted multiples of that income. The other Sharks began to follow suit. All Sharks, at one time or another, have used entrepreneurs’ “high valuations” as their reason for dropping “out” of deal investments. Certain Sharks, mainly Mark, and often Lori, will make investments into businesses or products they like, based simply on a belief in the businesses’ or products’ futures, and not based on sales to date. All the Sharks, including Kevin, have, at times, made investments at valuations disconnected from incomes and industry multiples. On what should Shark Tank entrepreneurs be focusing and to whom should they be tailoring their respective pitches? It’s impossible to know. Equity investments in businesses should be based on income to date and an analysis of likely potential future income. Venture capital is a whole other industry, and investments are usually made based on (among other things) the quality of the product or service, size of the market, and sales potential. Technology is very venture capital friendly because of the potential to scale quickly- as opposed to a retail store or a toy, for example. Plus, if the technology is software, the product development for distribution requires less capital investment than a hard product, which requires manufacturing capital, lead time and third-party distribution channels. Thus, software businessmen, such as Kevin and Robert, should be less focused on income and valuation than an investor like Daymond, who may invest in an apparel or home goods line. Entrepreneurs with great technology ideas can go anywhere to get rejected because their respective ideas have generated no income. They go into the Shark Tank, not to find banker mentalities, but to find experienced risk-takers with vision. To go into the Shark Tank without understanding what the Tank is about, is not only a tricky proposition- it is entirely unfair. Entrepreneurs go through a long and arduous process to get on the show. If the show is leaning towards equity investments, rather than venture capital, and that was made clear, many entrepreneurs may not bother. Proclaiming low or no sales in the Tank may get an entrepreneur laughed out of the Tank…depending on the Sharks’ moods that day. On other days, it could result in an investment. There are many inconsistencies in the Tank (such as sometimes penalizing entrepreneurs for not devoting full time to their ventures, while, at other times, laughing at their menial sales revenues and asking them how they eat, or telling them they respect that they are holding down 3 jobs while supporting their kids and pursuing their dreams. Which should they do- quit their jobs that pay the bills…..or keep feeding the kids? The Sharks seem to change their minds). Whether the Sharks are equity investors or venture capitalists makes all the difference, and it should be made clear what they are. If, as a general rule, incomes and valuations will be determinants of investments, perhaps a Shark Tank strictly for “inventors” and “start-ups” should be spun-off from the show so that good “pre-revenue” ideas have a place to go sans ridicule. Posted on December 16, 2015 by Neil S. Siskind, Esq. Charity, in its simplest sense, is about giving to those in need without any expectation of getting anything in return. Charity comes in many forms. People give their time, their services and money in the name of charity. While we see many fundraisers and not-for-profit campaigns to raise money, the hardest thing to do is give of yourself- your time, your emotional commitment and your human touch. This is the hardest way to give. This is not to say that giving of one’s hard-earned money is not commendable if done for the right reasons, but it is easier to donate money you have, than to give your personal efforts, regardless of your net worth. Giving is not a science. It is an art. Some people have the innate ability and desire to help those in need. Most people find it hard to make a commitment of their time and personhood on a regular basis. As with any other skill or effort, the ability to give of yourself does not come easy to everyone. I have given countless hours of myself to others- including cancer patients, children in need, senior citizens, striving entrepreneurs, people with financial distress in need of cost-effective legal help, public schools, and aspiring artists in financial distress. It is not easy- but I commit my own business and personal time to these efforts because it seems the right thing to do. Certain people are compelled to help others if they can. I do not say this to be self-congratulatory, but rather to be descriptive of the challenge and art of giving. Some of us are in the fortunate position to be able to dedicate time and service to others. I actually had one case over the years where I gave enormous amounts of my free time and skills to someone who was financially destitute only to have him turn on me for not helping him enough and attack me personally and spread lies about me to others. It was heartbreaking. Some people to whom you give become expert at the art of taking. They just demand more. Of course, the first reaction is, “Why do I bother?”. Why help anyone if no good deed goes unpunished? But you can’t stop giving because of one ungrateful person when you are needed by countless others. It’s not fair to the others. Again, the mission of giving is innate. So one is compelled to carry on with the mission. The Fatherhood Assignment is about encouraging people to give time and energy to those less fortunate than themselves. We do not raise money- we raise hopes. The goal of The Fatherhood Assignment is to inspire people to play a small role that could impact a youth in a big way. If you are only good at giving money- The Fatherhood Assignment is not for you. We need people to give time, hope and love to others in need. Clicking “like” on a posting about a charity is not enough. It’s not even close to enough. You have to actually give something that money can’t buy………compassion.